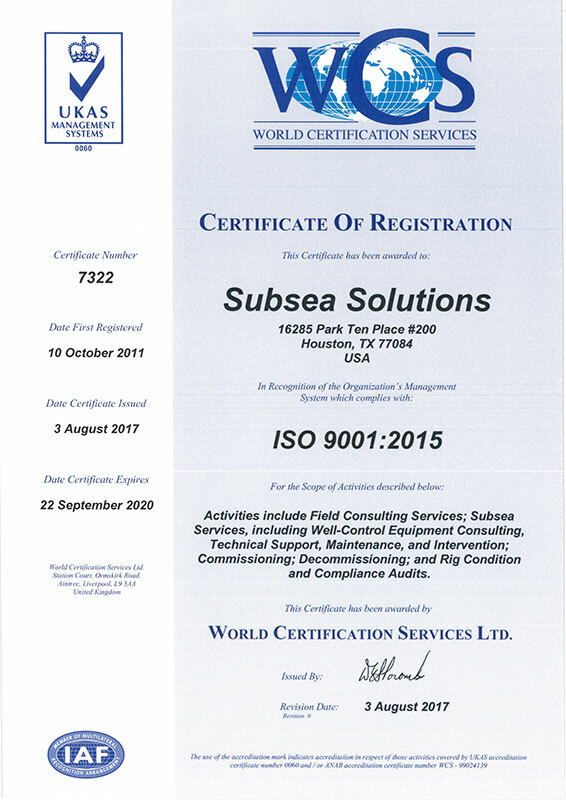 Founded in Louisiana in 1990, SUBSEA SOLUTIONS moved to Houston, TX, in 2005 and has emerged as the premier provider of third-party auditing services for subsea well-control and drilling equipment. along with accepted industry standards, practices, and regulatory requirements. for the operator during rig acceptance and equipment inspections. While working as a team, we maintain a good working relationship with both the operator and the drilling contractor. about the quality level of our work. 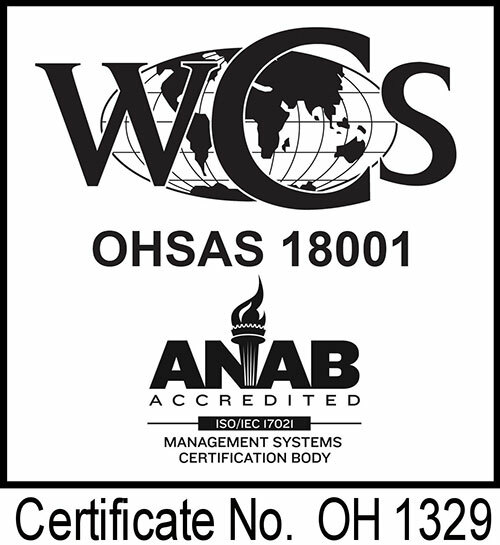 That’s why SUBSEA SOLUTIONS is certified to ISO 9001:2015 for field consulting services; subsea services, including intervention; commissioning; decommissioning; and audit services. our clients and employees can be certain that SUBSEA SOLUTIONS will continue to meet their needs now and in the long term. for our company, clients, and employees. SUBSEA SOLUTIONS is also DIT- accredited to provide training and seminars to both drilling contractors and operators (worldwide) on well-control equipment and associated systems. the opportunity to serve your needs.